The ATOC Tandem Topper is quite simply the best roof bar mounted Tandem Bike Rack you can buy. 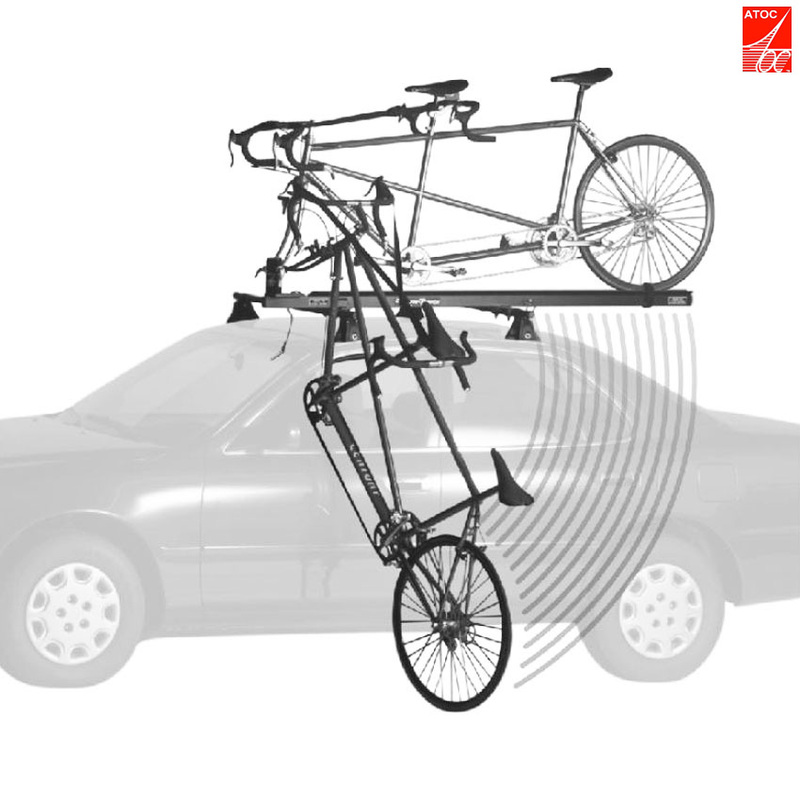 It's unique pivoting fork mount gives fast, simple, safe and secure mounting to your tandem on the roof of your car. This is easily achieved by one person with minimal effort. No straining, and no risk of damage to your tandem, yourself, or your car. If you've ever battled with a conventional rack on a windy day, you'll know exactly what we mean! The Tandem Topper is suitable for small cars with short rooflines - only requiring 89cm between roofbars, and as the rail can be easily seperated, will easily store in the boot. The ATOC Tandem Topper is designed and manufactured in the USA from a bespoke powder coated aluminium extrusion, to give high strength, low weight, perfect functionality, and good looks. Each part being specifcally engineered for its intended use. - Maximum Wheel Base: 105"
- Minimum Load Bar Spacing: 35"